At present, the development of industrial production is very rapid. In the production process, defoamer is usually used to eliminate harmful foam. However, many manufacturers will encounter many problems when using defoamers. Here are some common problems in the use of defoamers. There are two reasons for this. One is that defoamers are insoluble in the used system and the other is in the suspension system. The performance of the defoamer varies depending on the amount and color of the different materials.But as long as the final defoaming performance is good, it can be inhibiting foam for a long time. The properties and content of silicone oil in the defoamer can determine the time and duration of defoamers inhibiting in the system.The particle size of the defoamer determines its filter resistance.Waste water needs to be filtered many times during use.If the particle size of the defoamer is too large, the performance of defoaming and inhibiting after filtration will be affected to some extent. There are many kinds of defoamers on the market, and the performance of different defoamers is different. Some defoamers have poor acidity and alkalinity resistance, which can lead to the decomposition of silicone oil and the failure of defoamers. Therefore, the correct choice of defoamers suitable for the industry is extremely critical, only in this way can get twice the result with half the effort. The foam produced in production not only affects the normal production process, but also has a certain impact on the quality of the products produced. 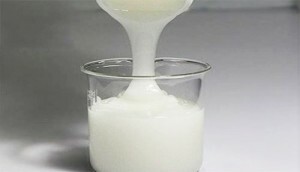 Therefore, defoamer is an indispensable agent in production. I hope the above description can help you.